The singer said fatherhood "lights you up in a way that you never imagined." camera (justintimberlake/Instagram) Justin Timberlake posted this photo with this caption: "FLEXIN' on Fathers Day...#HappyFathersDay to ALL of the Dads out there from the newest member of the Daddy Fraternity!! --JT" June 21, 2015. Justin Timberlake's life has utterly changed since he and wife Jessica Biel welcomed their son Silas Randall last April. In a new interview, Timberlake says Silas pretty much informs every aspect of his life, from his daily mood to his music. "Fatherhood is super scary. Because you don’t know what the hell you’re doing," Timberlake tells the Philippine Daily Inquirer. "But you figure things out as you go. It does give your life a different meaning, and lights you up in a way that you never imagined." "I feel like the real success of parenthood is getting to wake up the next day and fail all over again," he adds. "It’s humbling, for sure." 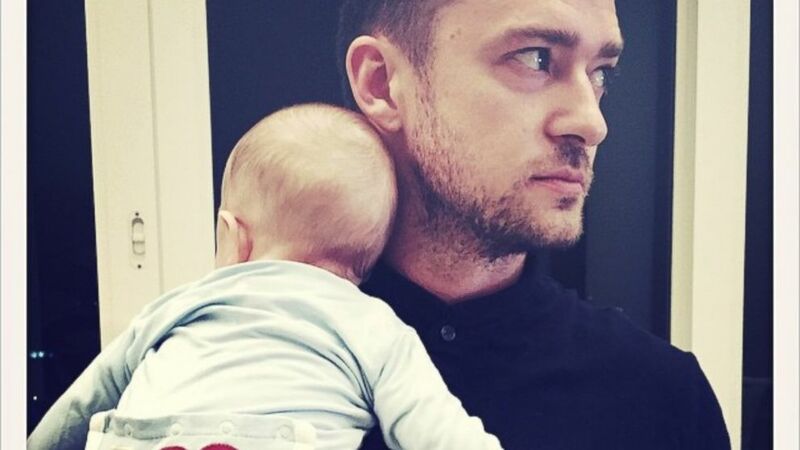 Timberlake says fatherhood brings out his full range of emotions. Asked to name what makes him truly happy, he says, "The thing that makes me happiest is being with my son. It’s amazing. But it’s hard ... You just have to get into it." Asked to name the last time he cried, the singer again brought up Silas. "I'm a softie, man," he admits. "Just watching your son learn the smallest thing can bring you to that place. I become a mess." Despite his role in the upcoming movie "Trolls" and a part in the next Woody Allen film, Timberlake says fatherhood led him to him cut back on acting jobs in the past few years. Well, that, and lack of time. "I was on tour for almost two years. It felt like I was on it for five years," he laughs. "Then, having a child made me want to take a step back and see what that experience was all about. I still don’t know!" Despite the impact Silas has had on his life, Timberlake admits that he hasn't written any songs for or about his son yet. But, he says, "Maybe one day, I’ll do a kids’ album."